Last time — Part 5 of Fall and Early Winter Baits Choices — we talked about boot tail swimbaits. They’re super important so I devoted a whole blog to them. But then I started thinking that there are other finesse swimbaits that deserve attention. In fact, the whole subject of finesse swimbaits deserves more attention. We’ll start by taking a quick look at the big picture. Finesse swimbaits have been around for years. We just didn’t call them swimbaits. We called them grubs. Look at any of the old grubs — most are still made today — and you’ll see exactly what I mean. The finesse swimbaits we think of as new are really improvements to the old grubs. There has always been a curly tail design, a flat tail design and a boot tail design. The easiest way to separate them in your head is to remember that the colder the water, the less movement and water displacement you want from the tail. Use a curly tail when it’s warm, a boot tail when it’s cool and a straight tail when it’s cold. One of the best curly tail swimbaits on the market is the Berkley Powerbait Power Grub. They come in sizes from 2 inches to 4 inches and in nine colors. 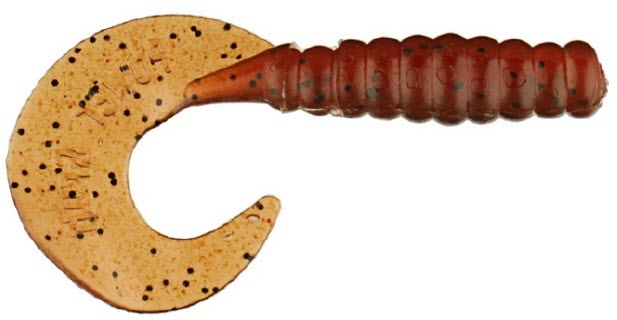 Another super good pick is the Berkley Powerbait Pro Grub. It’s 3 inches long and comes in 16 colors. When it comes to choosing a boot tail, I like the Berkley Powerbait Ripple Shad. Everything I said last time about it stands. If you’re looking for something that moves a little more water (rippled sides), I’d take a close look at the Berkley Havoc Beat Shad. Whenever I’m out fishing really cold water I like any of a number of straight tail worms or drop shot style of minnows. There are too many of them to mention but I will say that one of the ones I like the best is a Berkley Gulp 3″ Fry Worm. It’s tiny, non-threatening and will slide through the water perfectly. The colder the water the better it performs. I didn’t mention my color choices for any of the grubs because it’s a simple decision, but one you must make yourself. Pick the color that most closely resembles the local forage where you’re fishing. That’s all there is to it. Regardless of what head you choose, however, you’ll need a head for it. There’s no way of telling how many are on the market. My best, all-around head is one made by VMC called the Darter Head. It’s simple, inexpensive and gives the swimbait just a little bit of motion, just enough to make it look real. They’re all black and I never use one that weighs more than 1/4 ounce. Less than that is better. 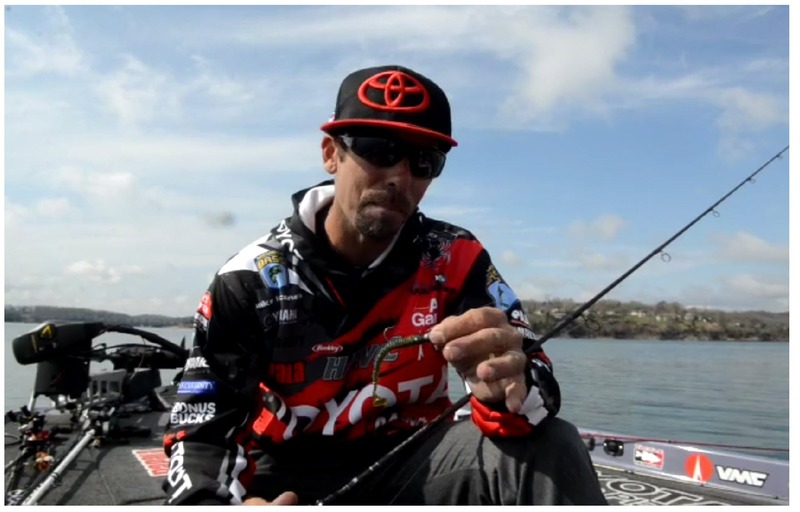 Fishing any of these baits correctly, however, requires the right tackle. 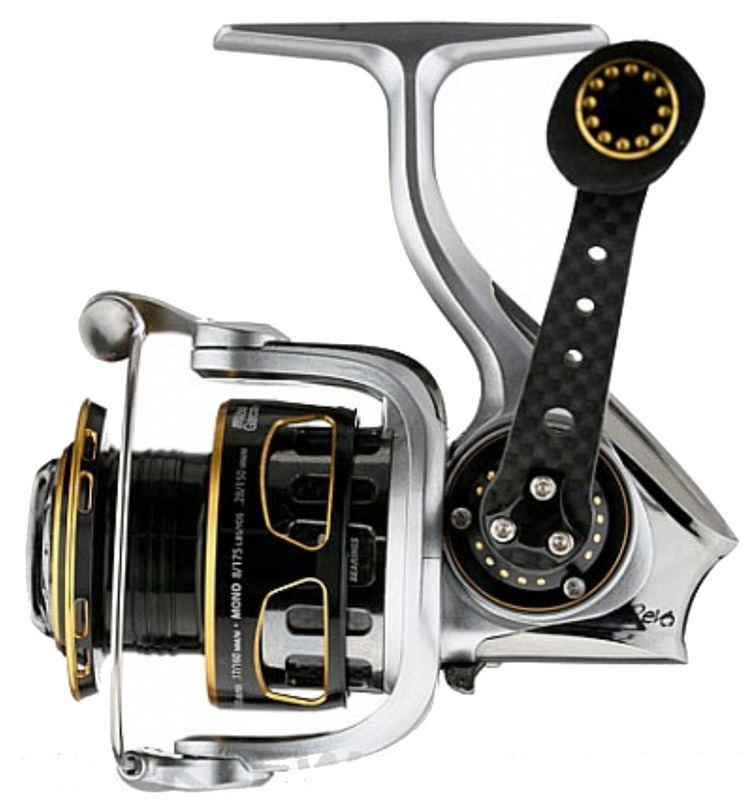 I use an Ike Series Abu Garcia medium action rod with a 30 size REVO Premier Abu Garcia spinning reel mounted to it. I spool my reel with braid to fluorocarbon. My choice of braid is 15-pound-test Berkley Professional Grade Braid and my leader is 6, 8 or 10-pound-test Berkley Trilene 100% Fluorocarbon. You can cast a small swimbait with a light head a mile with the setup I’ve just described. You retrieve all the designs about the same. Cast them out, count them down at one foot per second and reel them back real slow. They have a tendency to rise as you bring them back so a pause or two on every cast is in order. Take some time to inventory your swimbait box. Make sure you have several of whatever you need, including plenty of good heads, and you’ll be sure to have something tied on that’ll catch a bass.